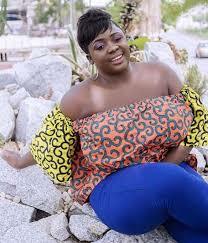 Ghanaian movie producer and actress, Tracy Boakye has stated that she doesn't mind quitting her acting career to please her sugar daddy. Speaking in a recent interview, Tracey said it won't take much time to take a decision if her lover asks her to quit. She revealed that she takes a lot of advice from this man--she loves so much--and they are planning to get married soon. “I love him so much and I am willing to do whatever his heart desires which includes quitting my acting career," she stated. However, Tracey added that her man understands what she does so he won't ask her to quit.